What Types of Landlord Insurance Should You Buy? What are the Different Types of Landlord Insurance? Which types of landlord insurance should you be buying? Learn the answer here and find out which landlord insurance types will give you the best value and protection. Landlord contents insurance compensates you for damage to the furniture, appliances and fixtures that you have provided with your rental property. As the name suggests, you're only covered for items that belong to you and found on your rental property. If your tenant wants to be protected against damage and losses to his own belongings, then he has to buy his own renter insurance. Depending on how well-furnished your property is, you may just want to buy a limited contents insurance that covers the bare basics such as the flooring, heating / cooling systems and fixtures ... or take out a full contents policy that covers almost everything you own. For more information on this type of landlord insurance, Click here for our complete guide on landlord contents insurance. Also known as rent loss or rent default insurance, it compensates you for loss of rent if your tenant refuses to pay you rent, abandons the property or has to be legally evicted. These types of landlord insurance will you cost a small percent of the monthly rent and the insurance firm may require you to screen your tenants with a professional tenant screening service such as Tenant Verification Service or E-Renter. Even if you have the best landlord insurance, avoiding bad tenants will still be a top priority for you. That is why we recommend that you run credit checks on every tenant applicant to make sure that they are able and willing to pay you rent - Click here to learn how to run your tenant credit checks. Even the best landlords have no control over the fate of their rental properties when it comes to natural disasters. What you can do is cover any potential (and crippling) losses by topping up your landlord insurance policy with natural disaster cover. Natural disasters covered include the usual culprits such as flood, earthquake, hail, hurricane. Different areas are prone to different catastrophes so some homework is needed to figure out your exact needs for this landlord insurance type. For example if your property is located in a low lying flood plain, buying flood insurance will be a no-brainer. To find out which natural disasters your rental property is be vulnerable to, you can approach a local property manager or land surveyor. If you hire someone to work on your rental property (even for a short term, casual employment), you'll need take a closer look at this. This insurance covers you from any claims and legal payouts in case you employ someone for tasks related to your rental property and he or she meets with an accident or death during work. Confirm if you'll need these types of landlord insurance in the first place. For example, if you hire an individual accountant to handle your accounting, that makes you an liable employer. On the other hand, you won't be considered as an employer if you pay a accountancy firm to do the same thing. Should You Buy Landlord Contents Insurance? 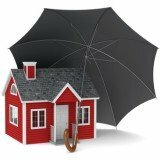 What Does Landlord Liability Insurance Cover and Cost? What is Renters Insurance and What Does It Cover? How Much is Renters Insurance and Do You Need It?